You are here: Home / FLUORIDE THE NEXT ASBESTOS ? If the insurer fails to understand the risk of an activity in which one of its clients is engaged, and the insured does not disclose – or even recognise – that what they are doing may eventually result in a claim at some later date? Then the investors have a big problem – if the insurer gets it wrong, then ultimately they have to fork out the cash. 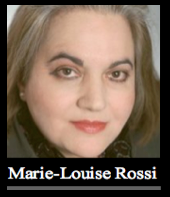 In the summer of 2004 I had a meeting in London with [the late] Marie-Louise Rossi. She was the Chief Executive of the International Underwriting Association, and had a formal conference with her and some of her Associates at the IUA’s London Headquarters. The purpose of the meeting was to discuss the insurance implications of the provable harm caused to children by water fluoridation. We did not discuss any of the more controversial health concerns of the practice, confining the discussion almost exclusively to the implications of the very large proportion of children known to develop this disfiguring condition. …the insurer did not understand the full nature of the future risk back in the 1960s, it and its reinsurers would not have properly reserved for it. In the case of Lloyd’s this resulted in the bankruptcy of thousands of individual investors who indemnified [under ‘reinsurance-to-close’] general liability insurance written from the 1940s to the mid-1970s for companies with exposure to asbestosis claims. 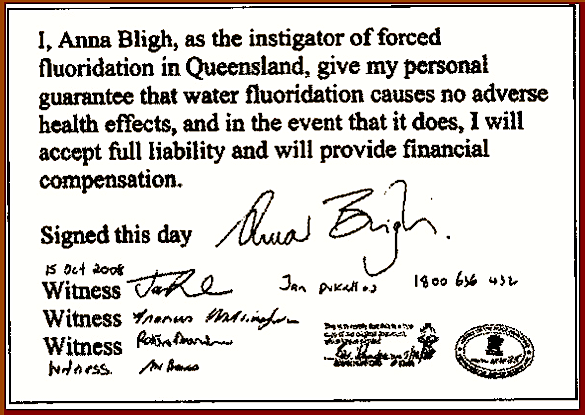 If you think about that in relation to fluoridation, you’ll realise just why [the late] Ms Rossi and the IUA were so alarmed at what I told them. The numbers of people affected by asbestos run into hundreds of thousands; ‘dental fluorosis of aesthetic concern’ (mild and worse) affects at least 10,000 children every year in the UK alone, and far more elsewhere. Regarding the risks from exposure to asbestos, the UK’s Health and Safety Executive considers that there is no minimum threshold that exists for exposure to asbestos below which a person is at zero risk of developing mesothelioma. Remarkably, the EU’s SCHER came to precisely that same view regarding the risks of damage to human teeth and bones caused by fluoridation only a couple of years ago! When the next asbestos hits, this time from the very water that pours from the faucets in your own homes, both you and the Health Authorities and Councils will be on your own. 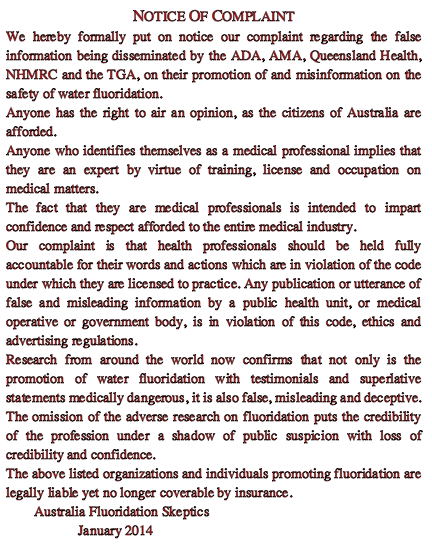 So heed Mr. Woodforth’s warning and make sure that those pushing fluoride at you are aware that everything that they own could soon be at risk. The insurers will be out through the door like rats up a drainpipe, leaving you to hold the baby. Over three decades in the City of London, Marie-Louise developed an expertise in many areas including insurance. 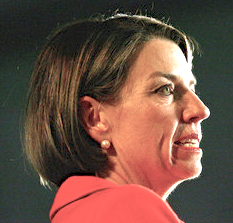 For over eleven years she worked as Chief Executive of the International Underwriting Association (and its predecessor) representing over £11bn pa of international insurance and reinsurance markets to governments and international institutions worldwide. Marie-Louise worked closely with the EU Commission and the European Parliament, as well as with the then DTI and the CBI. She was Head of Insurance and Risk Management for the New Security Foundation (formerly NATO forum for Business and Security) and was the author of The Single Market in Insurance (1992). might consider taking a low profile after reading the above!